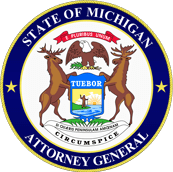 SOUTHFIELD, Mich. – It’s the beginning of February, which means that dreaded time of year has officially arrived: tax season. Choosing the wrong tax preparer can be costly for taxpayers, while choosing the right one can save hundreds or even thousands of dollars. While many people usually don’t begin filing for a few more months, it’s never too early to do homework before choosing the right tax preparer. There are several things taxpayers should look for when hiring an individual or a firm to prepare tax returns. Even some of the more reputable larger firms constantly make errors so it’s important for taxpayers to check the preparer’s qualifications, check the preparer’s history, find out if they have service fees and much more. Taxpayers have many options to choose from when filing taxes, including filing through the IRS, online tax preparer software, hiring a certified public accountant or hiring a tax attorney. In order to choose the correct tax preparer, taxpayers should determine the complexity of the return. Tax season officially began on January 20, 2015, and while many people usually don’t get around to filing until the eleventh hour, it is still a good idea to do your homework before arbitrarily picking any tax preparer off the street simply because you just need to file before April 15. 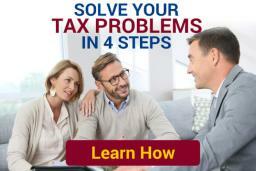 For more information on how to choose the right taxpayer, please visit www.ayarlawgroup.com/choosing-a-tax-preparer. For media inquiries, please contact Sherrie Handrinos at 734-341-6859 or sherriehandrinos@gmail.com.